Nikhil’s MUDRA Team USA PreRelease Tour Confirmed for below locations. Venue and other Details will be announced soon! 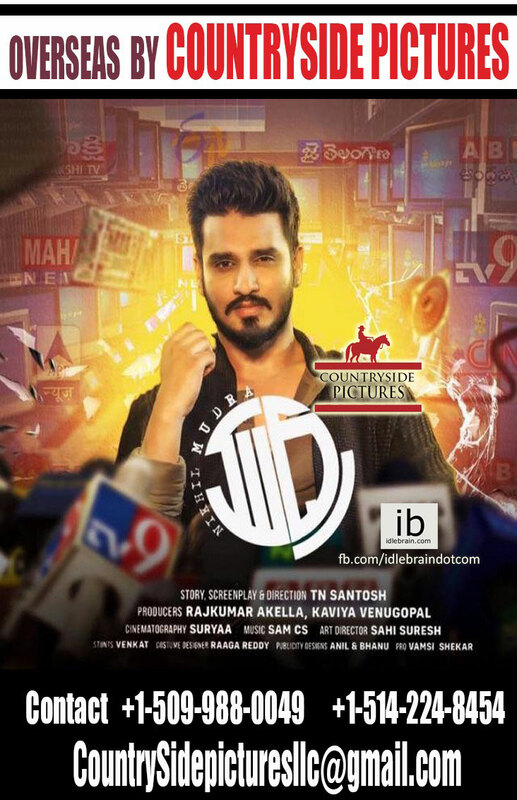 “Nikhil Siddhartha “ who is known for picking good and variety story lines like Ekadiki Pothavu Chinnavada , Keshava and Kirrak Party has released the first look of “ MUDRA “ recently which has garnered humongous response and is excited about his next outing in which he is playing as journalist Arjun Lenin Suravaram. “ Lavanya Tripathi “ who is riding on back to back hits and is also currently playing as Love interest in Varun Tej , Sankalp Reddy Space film is playing as Nikhil’s love interest in “ MUDRA”. Tamil Blocbuster hit Kanithan Director TN.Santosh is helming the megaphone , Sam CS who delivered a hit with Vikram Vedha is composing Tunes for Mudra , while Cinematography is handling by Suryaa and Movie Dynamix llp & Auraa Cinemas Pvt Ltd are jointly bankrolling this project while Tagore Madhu presents Mudra.